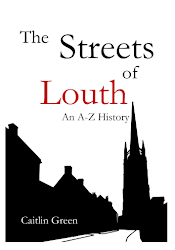 Trying to work out just when the Louth region was first occupied by humans is, needless to say, a complicated task, but it is the subject of this first post in my occasional series on 'The History of the Louth Region'. A handaxe from Happisburgh, found in 2000 (PAS). The earliest evidence for human activity in Britain is believed to come from Happisburgh (pronounced 'Haze-burra') in north-eastern Norfolk, where handaxes have been found that probably date from between 970,000 to 814,000 years ago. The people who created and used these handaxes are thought to have been representatives of Homo antecessor, or 'Pioneer Man', the only kind of humans known to be in Europe around this time. Homo antecessor had a slightly smaller average brain volume than modern humans do, stood between 5'6 and 6'0 tall, and may have occasionally practised nutritional cannibalism, in light of the evidence from northern Spain. As to whether these early humans ventured as far north as the Louth region, it is certainly not impossible, given that they clearly seem to have made it to Happisburgh. 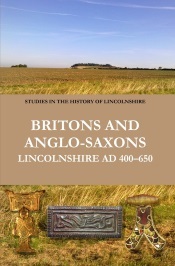 In particular, the geographical obstacles to any movement from northern Norfolk to Lincolnshire were far less significant in the period from 970,000–814,000 years ago than they are today. For example, neither the Wash nor the Fens existed then, both being created by the massive glaciers of the Anglian glaciation of 478,000–424,000 years ago, and the North Sea coastline lay well outside of our region at that time. The landscape of eastern England before the Anglian glaciation of 478,000–424,000 years ago (drawn by C. R. Green, after Clayton & Parfitt et al); the modern coastline is depicted as a darker shadow. 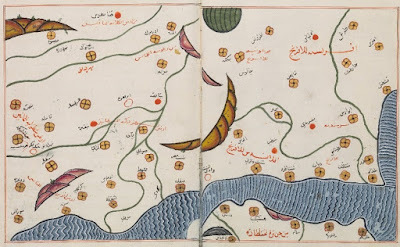 In the pre-Anglian era, the coastline lay well to the east of its current position, the Wash and the Fens didn't exist (they were scooped out by the Anglian ice-sheets) and the Wolds extended into Norfolk and beyond, though they were broken by great rivers. 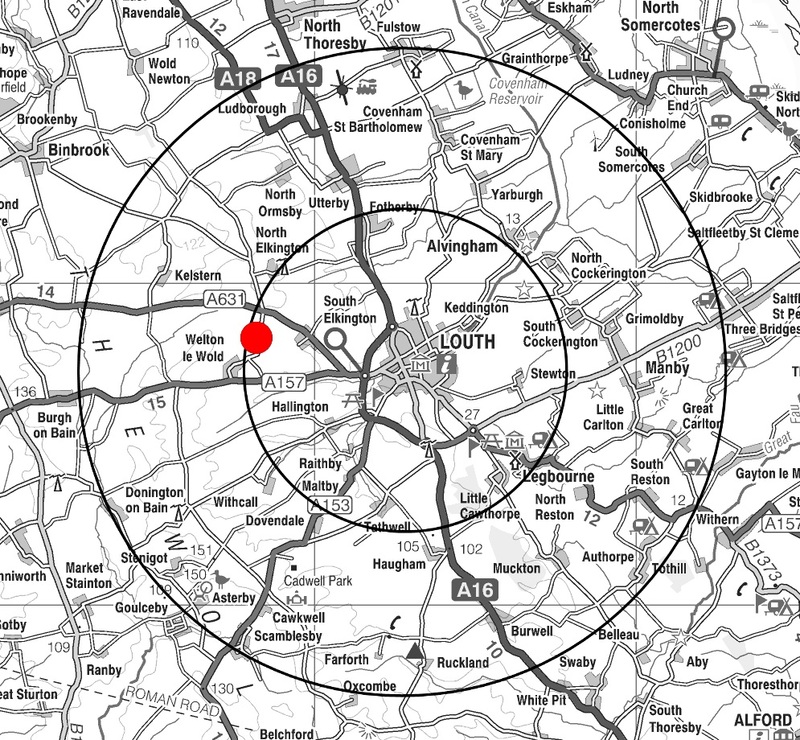 However, actually proving that such early humans did indeed make the relatively short journey north-west from Happisburgh into what is now the Louth area is impossible. Around half of the early landscape of the Louth region was completely eroded away by the sea between 130,000 and 115,000 years ago. Furthermore, that which was not eroded away—the modern Lincolnshire Wolds—has few geological contexts that might preserve such exceptionally early, pre-Anglian-glaciation artefacts as the Happisburgh handaxes, unlike the coast of East Anglia. In this light, all that one can actually say is that the earliest surviving geological context that might preserve evidence of early humans in the Louth region does, in fact, possess such evidence, which is at least suggestive. It is to this evidence that we now must turn. The location of the findspot of the Welton le Wold Lower Palaeolithic handaxes (created by C. R. Green, contains Ordnance Survey data © Crown copyright and database right 2011). Some of the flint tools from Welton le Wold quarry (image from Lincs to the Past). The material in question comes from Welton le Wold quarry, which lies in the Lincolnshire Wolds around three miles to the west of Louth. The finds made in this quarry consist of three flint handaxes, a worked flake, and a number of fossil animal bones and teeth, all found incorporated into a layer of material in the quarry known as the Upper Gravels. 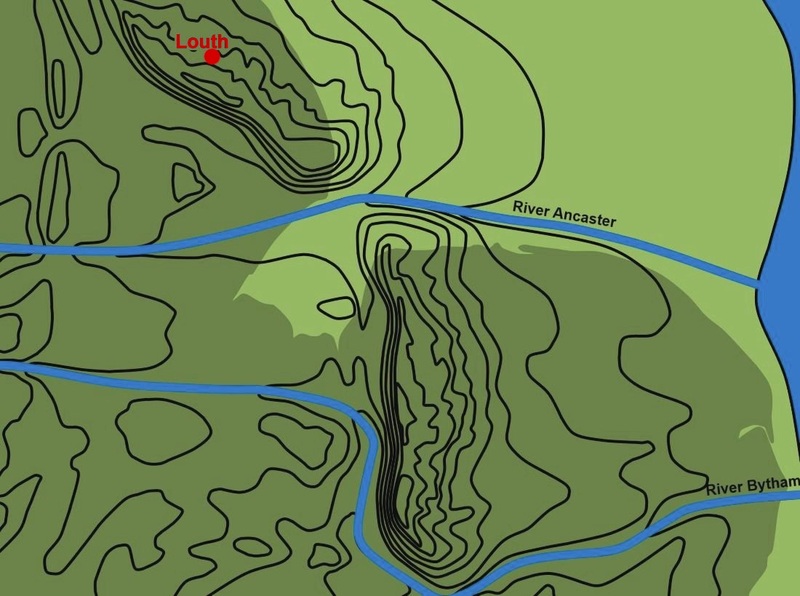 The Upper Gravels appear to have been eroded away from their original location (somewhere within the Welton valley) in an arctic climate, but the fossils found in these gravels all belong to temperate species, including straight-tusked elephant, red deer and horse. The temperate period that the animal remains and human artefacts were both originally deposited in has been the subject of debate, but recent Optically Stimulated Luminescence dating indicates that Upper Gravels were deposited on top of the Lower Gravels during a glacial epoch that lasted from 374,000–337,000 years ago. This in turn suggests that the handaxes and fossil bones probably originated during the preceding temperate period, the Hoxnian Interglacial, which lasted from around 424,000–374,000 years ago. The approximate coastline of Lincolnshire and East Anglia during the Hoxnian Interglacial, with the current coastline depicted as a darker shadow (drawn by C. R. Green, from The Origins of Louth, after Stringer). We therefore have, in the Welton handaxes, solid evidence that early humans were present in the Louth region around 400,000 years ago. If they were like their contemporaries who lived elsewhere in Britain, such as ‘Swanscombe man’ (actually a woman), then they would have had brains of a similar volume and physical structure to our own and are likely to have been pre- or ancestral Neanderthals. In terms of their everyday lives, they almost certainly survived via hunting, scavenging and gathering, perhaps even hunting the giant straight-tusked elephants whose tusks were found at the site, as their contemporaries appear to have done at Ebbsfleet. They may also have used fires for cooking and warmth, given that the first good evidence for the existence of hearths in Britain comes from this period. Finally, as was noted above, the Wolds still extended well to the east of the modern coastline in this era (see the map of eastern England in the Hoxnian Interglacial, above) and the people who were active in the Louth region around 400,000 years ago had probably arrived in it by following a minor river inland. As such, the Welton humans might perhaps be seen as relatively adventurous compared to their contemporaries further south, as early human sites elsewhere in Britain are more often located in significant river valleys and on lower-lying land. 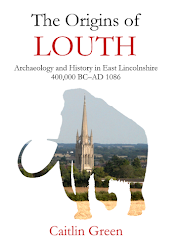 'The History of the Louth Region' is based in part on my book, The Origins of Louth: Archaeology and History in East Lincolnshire, 400,000 BC–AD 1086. 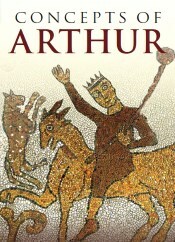 The latter offers additional details and analysis, along with suggested further reading, and is available to buy as a paperback book. The content of this page, including any original illustrations, is Copyright © Caitlin R. Green, 2014, All Rights Reserved, and should not be used without permission. Which is the oldest pub in Louth?